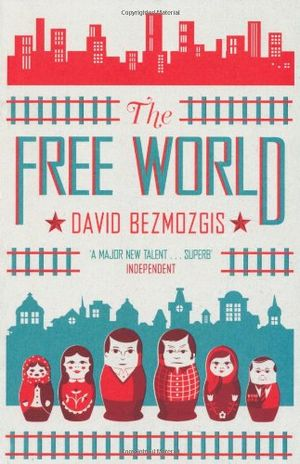 This insightful novel is centred on a family of Russian Jews, escaping (or being expelled) from Latvia in the Soviet Union circa 1978, just as Bezmozgis’s own family was. In the short term of the novel, however, the Krasnanskys are stuck in the virtual no-man’s land of unfriendly Rome and its outskirts while they await their final destination, be it Australia, the U.S. or Canada. And for at least a couple of them, that delay sparks some memories that bring the whole immigration strategy into question. It was the way that the author developed those conflicting stories and the characters in them that made this book our choice. We certainly had some debate and I want to recognize that here — Esi Edugyan’s Half Blood Blues was high in all our rankings and first on Kimbofo’s chart. And we all observed in submitting our initial ranking of the shortlist that four or five of the titles would be quite acceptable to us. 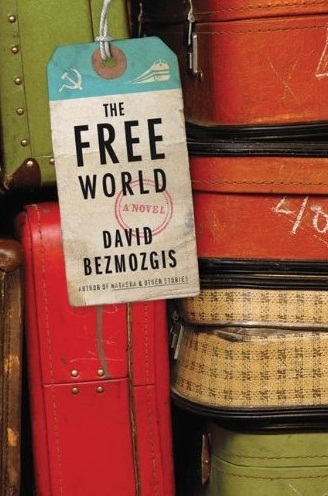 In the final analysis, we opted for The Free World on the strength of the exceptional quality of Bezmozgis’ prose as he tells his story — “on every page I was aware of what a strong writer he was, he never slipped” was juror Alison Gzowski’s observation. Trevor (he blogs at the Mookse and the Gripes) and I both found the incisiveness of his prose impressive. He develops a full cast of characters in a most interesting situation and, while he does not succeed in bringing every one to a full life, he succeeds more often than he slips. Is the Shadow Jury chair covering his bets with this quote? Perhaps. Stay tuned for the Real Jury decision on Nov. 8. If you check on the sidebar at right, you will find links to our reviews of all of the Giller shortlist (Kimbofo hasn’t posted her review of Half Blood Blues but it will be up soon and I will include a link). We bloggers who follow prizes always whine about juries and their semi-secret — or totally secret — approaches. So, in the interests of transparency, here is how the Shadow Giller Jury evaluated the shortlist. After that first evaluation, we asked Kim for a more detailed response regarding her favorite, had some online discussion and eventually came to the unanimous conclusion that Bezmozgis would be our choice — with a clear statement that all of these books have value. Now, it is a matter of waiting until the Real Jury makes its decision. We know from experience that it will not be an easy choice. This entry was posted on November 4, 2011 at 9:58 am and is filed under 2011 Giller Prize. You can follow any responses to this entry through the RSS 2.0 feed. You can skip to the end and leave a response. Pinging is currently not allowed. I just wanted to say how much I enjoyed the whole list (with one minor exception). There was a time when I didn’t know which of four — Bezmozgis, Edugyan, Ondaatje, or Coady — I would pick as my choice. And, though it was never in the running as my winner pick, I also really enjoyed the de Witt. Once again, the Giller has made the season excellent! Trevor: My only additional comment would be to direct readers to reviews of some of the longlist books that did not make the shortlist. Without criticizing the Real Jury at all, there are some excellent titles that did not advance. Thanks to all of you for going through the process. I have yet to read the Ondaatje because my wife stole it on me and is casually going through it. I think I would have picked the Coady or Edugyan. Bezmogis was probably fourth for me but really there was little to separate the DeWitt, Coady, Edugyan and Bezmogis. A really strong four and I’m sure I’ll like the Ondaatje. I think the Gatner is poor. I find it to have interesting ideas but is all over the place and annoyingly so. Thanks so much, all of you, for reading for and judging the Shadow Giller. Your reviews have been wonderful to read. I am curious to see what the “official” winner turns out to be. Owen: Thanks — I hope you continue to enjoy it. Rick, Gavin: We had a great time doing this — the list was excellent and had both quality and variety. We shall see what the Real Jury decides on Tuesdsay. I enjoyed participating in the Shadow Giller — it introduced me to quite a lot of books I’d never have read otherwise. I hope I didn’t stir things up too much by choosing a different book to my three fellow jurors, but when I weighed up plot, character, prose style etc Half Blood Blues came tops, in my opinion. But as you point out here, Kevin, the shortlist was so strong almost any book on it could win. I can’t wait to see what the Real jury select. As an aside, I know you didn’t like the Gartner, but I thoroughly enjoyed it. Her style is very reminiscent of Chuck Palahniuk, who is one of my favourite authors. It’s edgy, in-your-face and of-the-moment — and I understand that style isn’t everyone’s cup-of-tea. That said, I haven’t read the other two short story collections on the longlist, so I can’t compare and declare this one the best of the trio, I just know I enjoyed it. Kimbofo: We owe you much thanks for your contribution to the Shadow Giller. And I think that anyone who has read the shortlist would agree that it is possible to make a credible case for any of the six, regardless on what your personal preference might be. Two of the three members of the Globe and Mail Giller panel chose Half Blood Blues today (the other opted for The Cat’s Table), so you have some impressive company in your opinion. As for the Gartner collection, I have now read two other reviews that had the same observation that I did: the individual stories are all quite good, but when you read them as a collection they start to acquire a sameness that causes concern (maybe that is just in-your-face edginess building up). I would advise anyone who is considering reading the collection to allow some breathing space between the stories — I’m pretty sure that would result in a stronger overall impression. I’ll try to make this my last anti-Gartner comment but while Kevin finds the individual stories to be quite good, I do not. To be fair, I’m halfway through this book. I’m reading it slowly largely because I’m not enjoying it. Embedded in her stories are gems of observation about Vancouver. As an example, in her first story, Summer of the Flesh, she perfectly describes new age husbands but then spins it out of control. I find her mostly out of control and that her ideas are obscured by her writing style. I wish I could find more in her writing but she’s not for me. Hi Rick, but isn’t the “spin out of control” element of her stories the point? She writes in what I call a hyper-real style, which is exactly what Chuck P does. It’s almost as if both authors find something real that is slightly absurd — ie. new age husbands — but then push it to a new, exaggerated level to show you how ridiculous 21st century life really is. Admittedly, the style is not for everyone, but I quite like it — it makes me realise the absurdity of the age we live in. kimbofo, I’ll give you that it may just be the style that irks me. I don’t like to think of myself as one who prefers a conventional structure but maybe I am biased that way. She writes very deliberately in the style but I do think she needs to keep some measure oif control on her writing and each story that I”ve read thus far goes into a zone that I want to find interesting but don’t. Thanks for including the ballots! After the Globe and Mail’s panel picked Ondaatje (2-1 over Edugyan), it was great to see how the Shadow Giller ranked the books. Bradley: Well, the Globe panel split two-to-one for Eudgyan on personal preference, but then one panelist switched to Ondaatje as a Real Jury prediction. At the Shadow Giller, we don’t allow that kind of protective dual predicting 🙂 . I can build a whole slew of scenariors for the Real Jury — I do think they are going to come down to either Bezmozgis or Edugyan, just as the Shadow Jury did. Hello Kevin, well done to all of you and wow, I’m now feeling not quite as intrepid as I did when I set out to emulate your Shadow Award with our Shadow Man Asia Award! My team hasn’t yet negotiated all of the finer points but I like the way you’ve done it. Clearly we need to decide on our criteria, so I’m more than curious to know what those 100 points were allocated for: Kim’s comment tells us that some of the criteria were ‘plot, character, prose style etc’ – but what’s the ‘etc’ please? I’d love to say the Shadow Giller has a set of established criteria, but that would be a total lie. Each of us has our own way of evaluating each book (and for me that often varies from book to book). With three of us blogging, those reviews offer a pretty good indication — Alison both comments on the blogs and we have some background e-chatter. This was the first year we tried the 100 point system. It was apparent early on that we all thought highly of many of the shortlist titles and I was looking for a system that would indicate some “depth” of feeling when it came to the rankings. For me, it worked because it quickly focused our discussion on Bezmozgis and Eudgyan. Good luck with the Shadow Man Asia award. It is a prize that I’ve always wanted to be more interested in and your project will help me do that. I love the Shadow Giller process. Bezmozgis goes on my TBR. The unanimity of the judges in the end and the near unanimity of the judges in the initial stage of deliberations suggests this is a very good book indeed (as did the individual reviews along the way). Also, the fact that the consistent strength of the prose was, at least for one or two judges, a big factor in its selection makes me think this is the type of book with which I will get along. I will also probably read the de Witt. Both the Booker and the Giller saw it a worthy competitor and Trevor’s comment above (though never a true contender “I really enjoyed the de Witt”) seems typical of the responses. It sounds like a nice change of pace from what I usually enjoy. Thanks Kevin, Alison, Trevor, and Kim. I have enjoyed your thorough and entertaining coverage and I already know you’ve given me another book to enjoy. Kerry: You are most welcome and we appreciate your very kind words. This year’s Giller was a very enjoyable (and rewarding experience) with a wide range of titles that were well-executed. A reader cannot ask for anything more. my thanks as well. I picked the winner this year, first time in years. Aside from my vain glory what I want to say is that I agree that this is the best Giller Prize for sheer number of must read books. In recent years my pocket book has barely been cracked but this year, when ironically I have less, there are way more titles calling out to me including the Shadow Giller titles. Hope out library gets busy and gets these titles in. Thanks again to you and your co-Shadows. Owen: I’ll join you in hoping that your library gets up to speed — there is some excellent reading here. And the Shadow Jury is impressed enough that we are already planning for 2012.